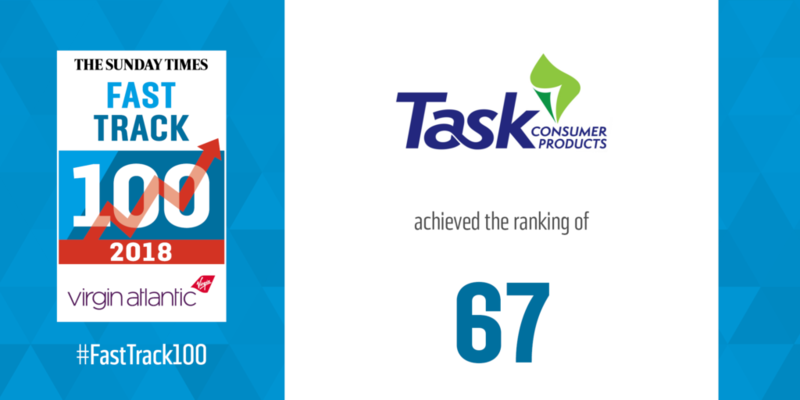 The team at Task are pleased to announce that the company has been featured in this years Sunday Times Virgin Atlantic Fast Track 100 , winning 67th place. We are very proud of the growth we have achieved since establishing in 2007 and being recognised by the Fast Track 100 as one of the fastest growing private companies is a great honour. We have continued to invest in order for us to further establish ourselves as the market leader for independent paper converters in the UK. Please click here for further information on our feature.